It’s been a tough year. We could all use a break. Gift wrap some joy and escapism for the people you love this Christmas. With 30 book suggestions to choose from, you’ll find there truly is a book for everybody. A forty-year-old woman with everything on the line – her high-stakes career, ticking biological clock, bank account – risks it all for a secret romance with a man half her age. Faye Bonsu has it all: a gorgeous boyfriend, a career as an interior designer and a mansion to call home. But with all her friends becoming mothers, a partner in no hurry to propose, tricky clients, and a very attractive and single boss, things are not quite as simple as they appear. She takes a trip to Ghana for some R&R, but life takes an even more complicated turn. One weekend of steamy fun and free-spirited India Shaw finds herself knocked up for tech wonderboy Michael Black. She has no intention of sharing the news, but when she lands herself in jail and has to call him to post bail, things spiral way out of control. Portia has finally gotten her life under control and she is not letting anyone take that away from her. Not the financial analysts predicting gloom for her company; not her brother and his bad business decisions; and definitely not Khai no-last-name who is too handsome for his own good. Khai has never met a problem he couldn’t solve. But pursuing Portia means reconnecting with his Christian faith, something he’s spent years running from. The world looks at Best Lightburn and sees a talented magazine writer, a pampered only child and one half of a dazzling, power couple. But Best has a secret. Ten years ago she and her two older brothers took a shortcut over a frozen lake. When the ice cracked, all three went in. Only Best came out. The guilt from that day is steadily infecting every facet of her life, and her self-destructive behavior is about to bring it all crashing down. A woman’s mutilated body is discarded outside a club in Lagos, Nigeria. British journalist, Guy Collins, a bystander, is picked up as a suspect. He is rescued from a police cell by by Amaka, the guardian angel of Lagos’ working girls. As Collins discovers more of the darker aspects of what makes Lagos tick – including the clandestine trade in organs – he also begins to fall for Amaka. The body of a high-achieving, thirteen-year-old is found in a housing complex. When Lou and her partner begin to investigate, they find a chilling pattern of exceptional black girls going missing in the same school district that Lou once attended. Struggling lawyer, Jay Porter, is drafted in to defend a man accused of murder. His client is wealthy, the paycheck is a godsend, but how long can Jay bury his conviction that his client is guilty? Attica Locke, a writer and producer on FOX’s Empire, has crafted a sophisticated, edge-of-your-seat thriller. A sixteen-year-old boy is stabbed to death on a London street. Marcia Williams is the grieving mother. As she sits through the court case she struggles to untangle the events that led to her son’s death. Why was he carrying a knife? Why did the killer target him? Who is the young girl who keeps calling and showing up on her street, and what part did she play in the murder? As the case unfolds, troubling truths surface that challenge everything Marcia thought she knew. In her poetry collection, Ethiopian-American, Mahtem Shiferraw, considers the displaced, disassembled, and nomadic self. 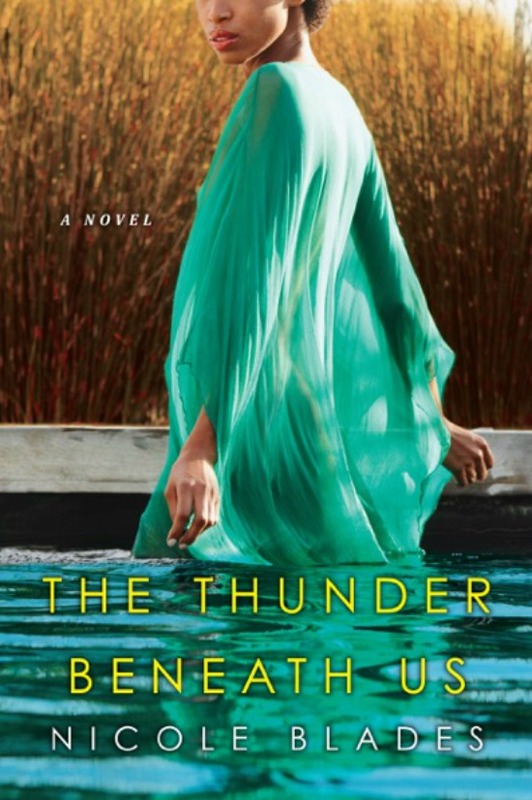 Her writing is packed with colors and sensations that evoke memories of trauma, war, and diaspora. Yet rooted in these losses and dangers is also the opportunity for mending, reflecting and finding hope. 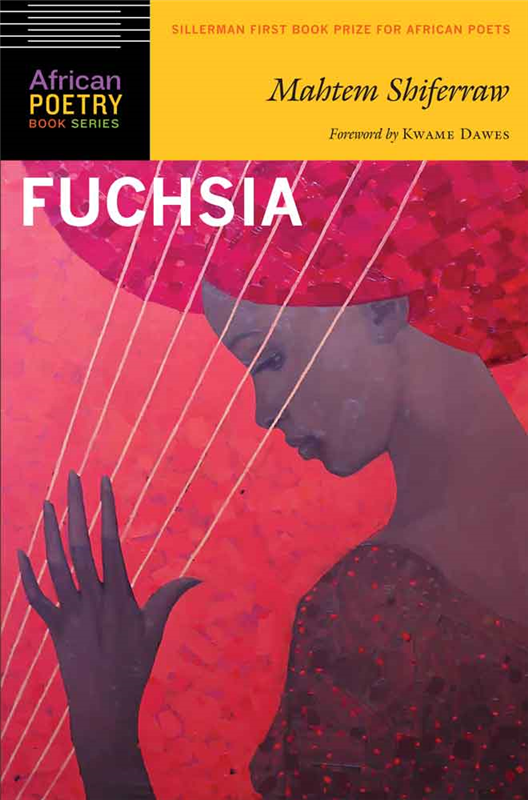 The poems in Fuchsia examine what it means to both recall the past and continue on with a richer understanding. Comedian and activist Luvvie Ajayi amuses over 500,000 readers a month via her culture blog – AwesomelyLuvvie.com. Now she’s shrink-wrapped all that wit, analysis and awareness into a collection of humorous essays. Her Do-Better Manual dissects our cultural obsessions, calls out our bad behavior and ponders serious issues on race and media representation. Being a black woman in America means contending with old prejudices and fresh absurdities. Comedian Phoebe Robinson has experienced her fair share over the years: she’s been relegated to the role of “the black friend,” as if she is somehow the authority on all things racial; she’s been questioned about her love of U2 and Billy Joel (“isn’t that . . . white people music?”); she’s been called “uppity” for having an opinion in the workplace; she’s been followed around stores by security guards; and yes, people do ask her whether they can touch her hair all. the. time. Now, she’s ready to take these topics to the page—and she’s going to make you laugh as she’s doing it. Teju Cole is always finding fresh and potent ways to interpret the world. In this collection his interests traverse everything from politics to photography, travel to literature. He offers a new consideration of James Baldwin in the age of Black Lives Matter; and discovers the African American photographer Roy DeCarava, who found a way to accurately depict black subjects even while he was forced to shoot with film calibrated exclusively for white skin tones. Teju Cole’s varied passions and enthusiasms leap out of every page. The actress writes of her family, the one she was born into and the one she created. She shares stories of her father, a Vietnam vet who was bowed but never broken by life’s challenges, and of her mother who survived violence both in the home and on DC’s volatile streets. Here too, she opens up about her experiences as a single mother, a journey some saw as a burden but which she saw as a gift. A series of love letters to the Nigerian palate. 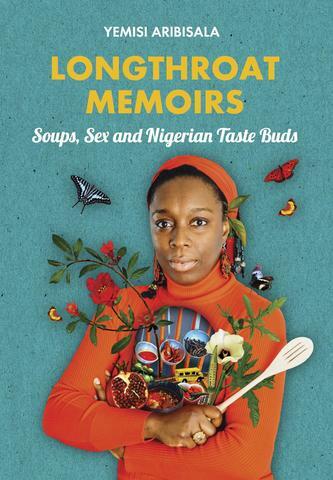 From innovations in soup, fish as aphrodisiac and the powerful seductions of the yam, Longthroat Memoirs examines the complexities, the peculiarities, the meticulousness, and the tactility of Nigerian food. In her previous adventure, Princess Arabella had a birthday. Now she’s mixing colours and making the poor footman wait while she gets the blend just right. Nick Hall lives and breathes soccer. But when he’s sidelined by an injury, his word-loving father takes the opportunity to try to instill a love of reading into his reluctant son. A narrative written in poetry. Olivia and her twin brother Aidan are heading back to Earth, alone, after a virus wiped out their family and all of their crew. Nathan is part of a community heading in the opposite direction. A second tragedy brings the two groups into contact. Nathan and Olivia are instantly attracted, deeply, head-over-heels. But they are surrounded by rumours, deception, even murder in this gripping tale inspired by Othello and Star Trek. Natasha is a facts and figures kind of girl. She’s not the kind of girl who meets a boy on a crowded New York street and falls for him. Certainly not twelve hours before her family is due to be deported to Jamaica. Daniel is a good son and a good student. He’s not the type to get all dreamy over a girl. But maybe we’re not always the people we think we are. Maybe, sometimes fate has other plans for us. Her name is Binti, and she is the first of the Himba people ever to be offered a place at Oomza University, the finest institution of higher learning in the galaxy. 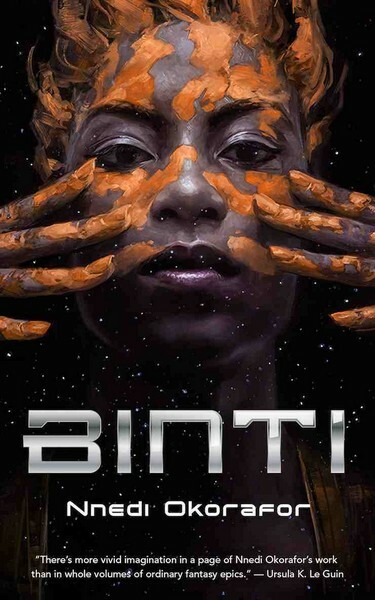 When Binti accepts the place, leaves her family to travel between the stars among strangers, she has no idea of the part she’ll play in the future of the galaxy, no idea of the danger and the choices that await her. Winner of the Hugo Award and the Nebula Award for Best Novella. Running into a long-ago friend sets memory from the 1970s in motion for August, transporting her to a time and a place where friendship was everything—until it wasn’t. August recalls sharing confidences with her girls as they ambled through neighborhood streets. Brooklyn was a place where they believed that they were beautiful, talented, brilliant. They could do anything. But beneath the hopeful veneer, there lurked another Brooklyn, a darker more dangerous place. Morayo Da Silva is a cosmopolitan Nigerian woman. She is seventy-four, lives in San Francisco, and has a zest for life, particularly road trips in her vintage Porsche. But when Morayo has an accident, crushing her independence, she is prompted to reassess her relationships and recollect her past life and loves. 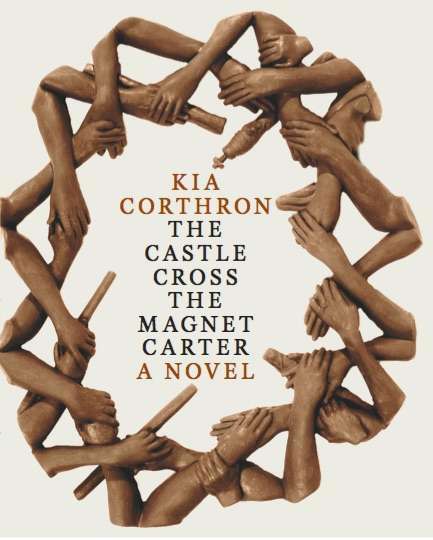 The story begins with two half-sisters, separated by forces beyond their control. One is sold into slavery, the other married to a British slaver. Homegoing traces the generations of family who follow, as their destinies lead them through two continents and three hundred years of history, each life permanently drawn, as the legacy of slavery is fully revealed in light of the present day. Two brown girls – Tracey and Aimee – dream of being dancers. Only Tracey has talent. She makes it to the chorus line but struggles with life. Aimee’s grand ambitions take her to West Africa. There she finds young men who risk their lives to escape their lives, and women who dance just like Tracey. Furo Wariboko, a young Nigerian, awakes the morning before a job interview to find that he’s been transformed into a white man. 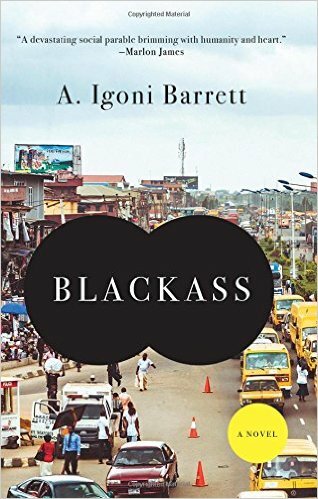 In this condition he plunges into the bustle of Lagos to make his fortune. A young Cameroonian couple are struggling to make a life for themselves in New York city. When the husband, lands a job chauffeuring for a senior executive at Lehman Brothers things seem to be looking up. But then the 2008 economic collapse hits and threatens every aspect of the couple’s life. It is 2008 in Harare, at the height of Zimbabwe’s economic woes. Tsitsi is a young woman, raised by a strict, devout Catholic mother. She has been taught that hard work, prayer and an education will ensure a prosperous and happy future. But the old structures in her country are crumbling and with a salary that barely meets her needs, Tsitsi finds leveraging her body offers simpler ways to get ahead. Paulina Omoregbe rules the night life of Nimbe town from her beer parlour. Despite her dalliances with local married men, she has succeeded in creating a good life for herself. However, when a business deal goes bad, it sets off a downward spiral of events. Can Paulina overcome these challenges and create a new and better life for herself? Cora is a slave on a cotton plantation in Georgia. As she enters womanhood the perils in her life begin to multiply. When Caesar, a recent arrival from Virginia, tells her about the Underground Railroad, she decides to take a terrifying risk and escape. Reblogged this on Simple Esan Girl….